I strongly recommend testing the demo by clicking on every link and button there is to witness all the beautiful features yourself! Multi-Level Categories (optional). If categories is enabled, users can search for photos based on the category of their albums. Only albums/photos can be categorized. Videos are not. HTML5 drag & drop files upload. Fully Responsive design. Displays beautifully on all devices. Theater mode. All photos display in their individual lightbox without the need to load a new page, just like on Facebook. If user is in Theater mode, the browser address box will be updated with the direct link to the media. Supports Bootstrap 2 and 3. Integrates with Google Maps API to display media locations on a map. Facebook Import (optional). Allow users to import their Facebook photos to create new albums or into existing albums. Watermarking (optional). You can choose to enable watermark for photos, thumbnails, or both. Remote Storage (optional). You can configure SIMGallery to store all your photos and videos on Amazon S3, saving you space. QUICK ACCESS CONTROLS. This is a key feature of SIMGallery. Throughout the gallery, you will find quick access controls for users to manage their albums, photos and videos, like delete, re-ordering, set as profile picture, change access levels etc etc. Think of how Facebook makes it easy for users to manage individual photos in their album view. It's just the same! Videos (optional). There are 2 types of videos admins can allow. The first is linking videos from video services like YouTube, Blip.tv, Break, DailyMotion, Flickr, Google, LiveLeak, MetaCafe, MTV, MySpace, Revver, Truveo, Viddler, Vimeo, Yahoo Videos, and Youku. The second type is user uploaded videos. SIMGallery uses HTML5 chunk file upload technology, so the video file size can be anything and not limited by your host's PHP file_upload_size setting. It also displays HTML5 videos which can be viewed on iOS mobile devices without the need for Flash. Users can opt to receive an email notification once their uploaded videos have been converted successfully. Multiple Profile Pictures management (optional). 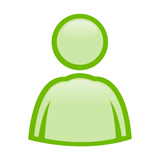 Users can upload and manage multiple profile pictures. The profile pictures will be displayed as a separate album on their dashboard. Fully integrated with EasySocial, JomSocial, Community Builder and JomWall's avatar features. When users try to upload or change their avatars on their respective user profiles, a modal popup will appear instead with SIMGallery's own profile picture uploader. Notifications. Display new tags, comments, likes and comment likes on the user's dashboard. Sleek notifications list interface. An email will also be sent to notify them. Create & Manage Albums. Users create albums by clicking on the Add Photos button. Just like on Facebook, when users upload photos into an empty album, a new album is automatically created. Seamless Photos Upload (mobile friendly). You MUST test this out yourself to see how awesome it looks like. Admins can choose to limit number of photos per album. User groups permission. Set which user group(s) is allowed to create albums/upload photos, and administer photos in the front end. Everybody. Includes non-registered guest users. Registered members. Only registered users can access media. Friends only. Only friends of media's owner have access. Only Me. Only owner, and those who have been tagged, have access. For albums set as Only Me, those who have been tagged in some of the photos within the album will be able to access these photos. They will also be able to view the photos list of the album, but only those photos they've been tagged in will be visible. Admins can set which of these 4 access levels are available (eg. you can remove "Only Me"). Also, you can mass convert media from 1 access to another in the backend. User Tags (optional). Admins can choose whether users can tag only their friends, or every registered member on the site. Custom Tags (optional). When enabled, users can add custom word tags. Not available for videos. Keyword Tags (optional). This is a list of preconfigured words that users can choose from to better describe their photos. When enabled, users can search for photos based on these tags. Violations Report. Users can click a button to report a problematic photo or video, and managers can use these reports to moderate the gallery easily. Combine categories with keywords for a truly powerful community gallery! Imagine you are running a real estate website. You have created the following categories: Houses, Condos, Apartments. You have also added the following available keywords: 2-room, 3-room, new, refurbished. Now your users can search for photos based on a combination of category and keywords, providing meaningful and useful content! You can use this functionality for any themed websites: Real Estate, Pets, Weddings, Photography, Model Agency, Electronic Equipment, Products & Services, etc etc, or just general community websites. It's all up to your imagination! OpenGraph support so Facebook shares display nicely. Photo download. Users can download the photos' physical file with a click. Album/Photo/Video commenting. Users can comment on any media they have access to. Like photos/videos. Users can "like" photos and videos they have access to. These can be used for contest purposes using the Ranking Module provided (more details later). Like comments. Users can "like" comments posted. Users will be notified of all relevant tagging, commenting and liking activities. Media location. Owners can add a location to their albums and photos. If there is a location, a link will appear that will point to Google Maps. Media date. Owners can specify a certain date that an album, photo, or video is taken. Comprehensive Profile picture feature. Users can crop photos they have access to and turn them into their profile pictures, upload photos, or take a selfie via webcam. Photo rotation. Owners can rotate the photos they uploaded. Photo ordering. Owners can re-order photos within an album by simple drag-and-drop. They can also set a particular photo as the album cover. Content plugin that lets you display media and galleries on Joomla content articles.